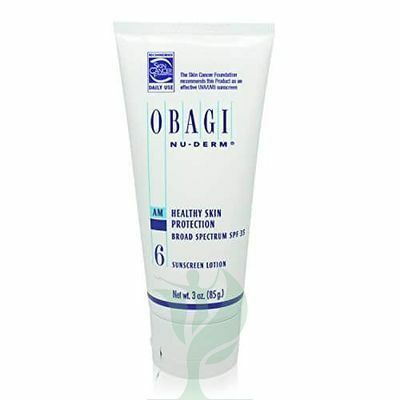 OBAGI NU-DERM HEALTHY SKIN PROTECTION BROAD SPECTRUM SPF 35 is a broad-spectrum sunscreen that protects the skin from UVA and UVB radiation. Sun exposure can increase brown spots and other signs of premature aging, but the 9% micronized zinc oxide and 7.5% octinoxate in OBAGI HEALTHY SKIN SPF 35 provide a shield to protect the skin from experiencing more damage. Product is suitable for your patients all skin types, whether dry, oily, or normal. 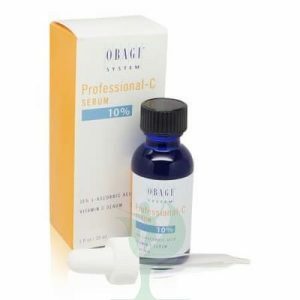 Your patients who have signs of premature aging and sun damage, like hyperpigmentation, erythema, sallowness, rough skin, and age spots, can benefit from using OBAGI NU-DERM HEALTHY SKIN PROTECTION BROAD SPECTRUM SPF 35 to protect their skin from further damage as they use other products in the OBAGI NU-DERM system.